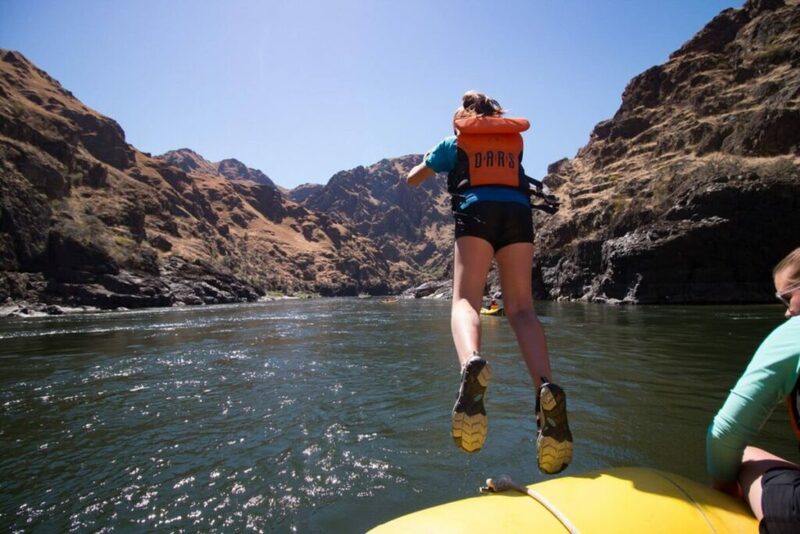 Adventure Mom: Inspiring the love of wilderness adventure in young families everywhere! That’s me! Or, at least, that’s who I’d like to be. For eight years I’ve been getting out into the forests, mountains, and beaches with my kids as often as we can, which tends to translate to ‘as often as both weather and children are cooperative’. I’ll let you guess how frequently that actually is…I’d love to report that we regularly hike for many miles, ascend steep peaks, and accomplish multi-day pack trips. I’d love to, but…let’s say we are still working up to all that. 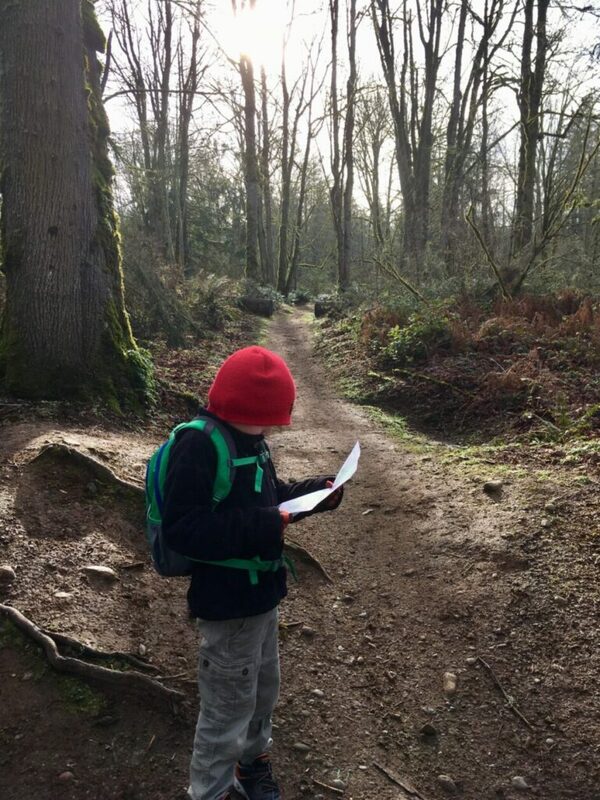 In the process of honing my Adventure Mom skills and (hopefully) creating avid hikers, I’ve learned a few tricks that I’m happy to share with you in the hopes that you’re next family hike is a rousing success. Be reasonable. Small legs take small steps and get tired quickly. Pick a short, level trail when hiking with kids. Loops are great because you are always looking at a new place until you suddenly find yourself back where you started. Out and back destinations (to a lake, waterfall or beach) is great motivation for getting there but can lead to tired frustration on the walk back. Never forget the bandaids. Ever. The one time you do will ensure that someone will fall hard and skin their entire shin. Pack extra snacks and water because when hiking with kids, just like adults, food is not just fuel, it’s a reward and a distraction. Trash bags. Always bring a bag for your trash and pick up anyone else’s trash you find on the trail. Cleaning up after yourselves and others is an excellent lesson in stewardship. Leave No Trace also means Leave it Better than You Found It. Candy. Yep, I said it. Healthy snacks are very important to ensure everyone has the energy to hike. But nothing, NOTHING, beats well-timed candy incentives to make it back to the car. This is cannot be underestimated when faced with a one mile, all uphill, return hike while hiking with kids. Make it fun! 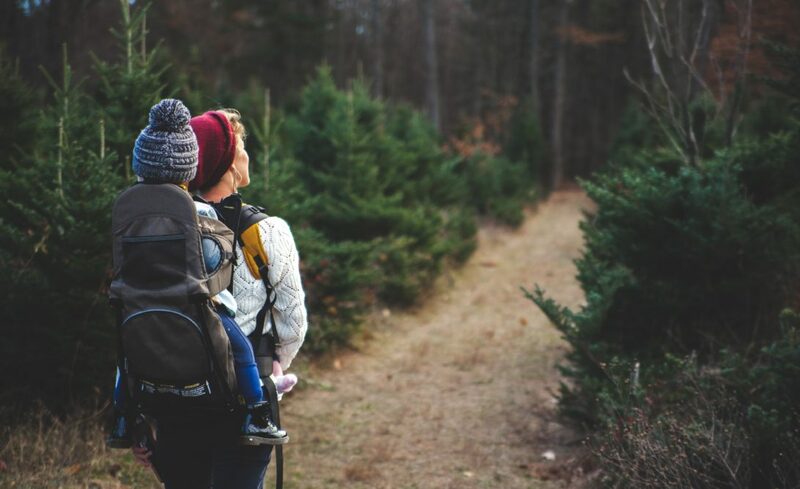 Family hikes should be about having fun together in the great outdoors. 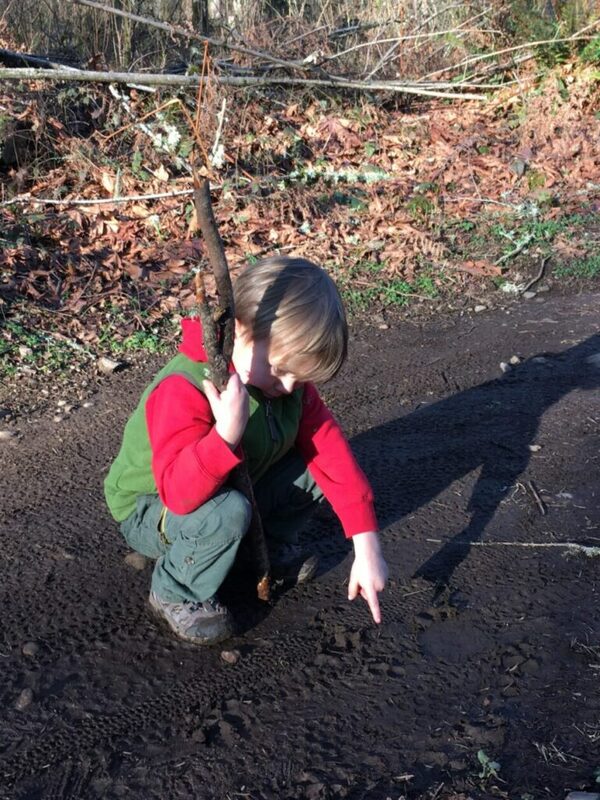 I am always amazed how much fun children can have with sticks and rock, and equally amazed by their inability to have any fun at all when surrounded by sticks and rocks if the overall activity has been labeled a “hike”. When hiking with kids, I’ve learned to always pack a few fun items and ideas, such as…. Bring a nature ID guide. Try your hand at identifying plants or birds you see on the trail. Magnifying glasses are always a hit with kids. It may slow you down even more, but why are you out in the woods with children anyway, if not to stop and enjoy nature? Maps. Great for not getting lost, but also great for keeping kids engaged. Kids feel really invested in the adventure when they get to plot your course on a map. Make a scavenger hunt, goal, or challenge. Last weekend I took a walk in the woods with my boys (5 & 8). The 8-year-old did not want to go, so I proposed a challenge for us: set a goal of what you wish to see on this hike and we’ll try to find it. I saw my three birds: gulls, ravens and an eagle. As for the budding mycologist? We managed to find 10 different types of mushrooms and counted a total of 43 individuals. I am sure this list will grow. I am still working towards my Expert Level Adventure Mom Badge. If you want to hone your Adventure Mom skills too, gather your kids and meet us at the trailhead!